Our top priority is to provide very comprehensive, tailor made treatment pattern with the maximum recovery. 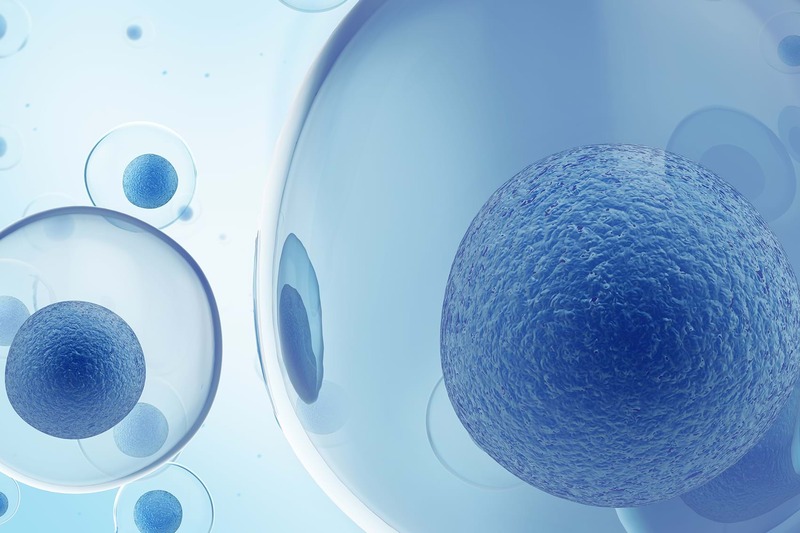 As a part of our treatment, patient’s stem cell are obtained from two sources, Adipose-derived stem cells (ASCs) and Bone marrow-derived stem cells (BMSCs). Sometimes we may use a combination of both, depending upon the assessment. 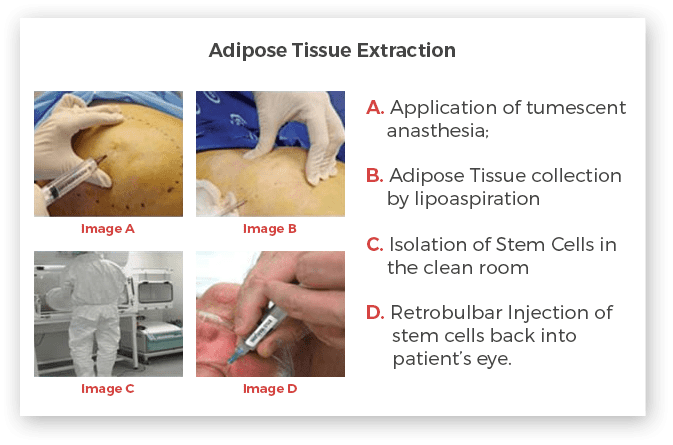 Retrobulbar Injection: Stem cells will be infused directly into the area of the eye near the macula. 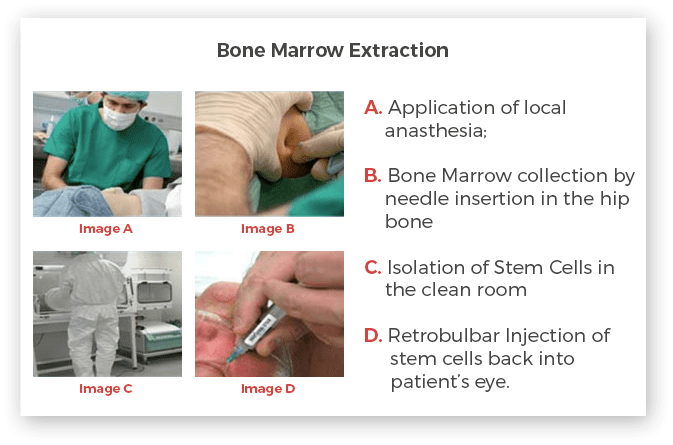 Intravitreal Injection: Stem cells will be infused directly into the area of the eye near the macula.